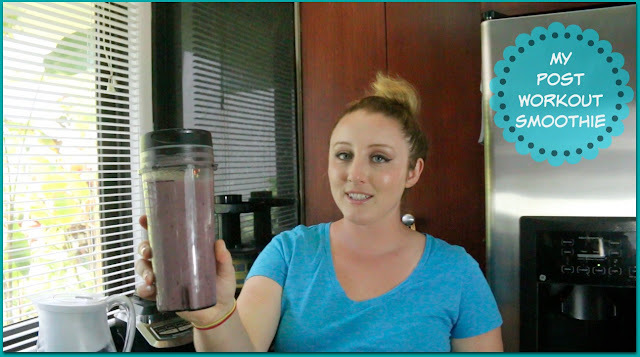 Today I thought I would share my Post Workout Smoothie with you guys, its literally the easiest smoothie in the world but I find that having a smoothie right after working out really helps as I’m absolutely S-T-A-R-V-I-N-G after I get home from the gym. I add in the Banana, then the Cherries, the Protein Powder, and lastly the powder and then simply blend! Next Post Style Sunday: Sporty Chic & Monthly Giveaway!